Founded in 1521, San Juan, a popular vacation destination island in the Caribbean, is also known as La Ciudad Amurallada, which literally mean the “Walled City”. 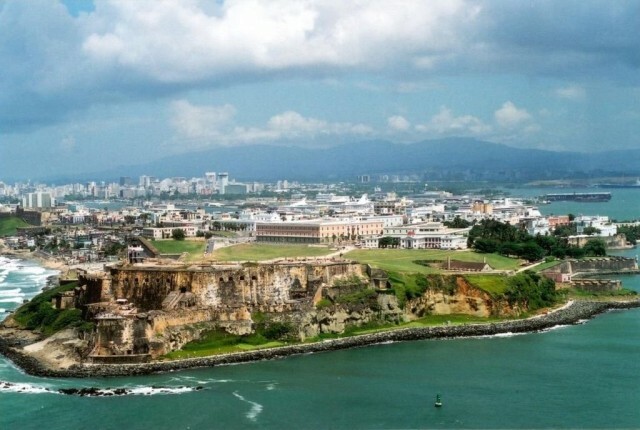 The city of San Juan is also the 2nd oldest city in the Americas. During the 16th century, San Juan was fortified and used as the focal point for trade by the Spanish. Today, it is known as a sugar refining, distilling and brewing center. The recent establishment of tobacco, cement and pharmaceuticals industries has turned the city into one of Caribbean’s busiest ports, and the second largest port, after New York City, in the district. There are loads of large business corporations and U.S banks operating within the city as well. San Juan, Puerto Rico’s capital and largest city, is a Latin America city with a population of over 400,000. The city is an infusion of Spanish cultural beliefs and African traditional beliefs. You will discover a mix of African and Spanish culture in the city’s festival, lifestyle, culture and philosophy. San Juan is the center of tourism in Puerto Rico, drawing millions of tourists to its lovely attractions yearly. The city is filled with loads of stunning parks, colonial architecture, pristine beaches, notable museums, inviting archeological sites, great planetariums, vibrant nightlife, a wide range of amazing accommodation facilities, fine dining experience and so much more. Some of the popular attractions in San Juan that’s worth exploring include Alcaldía, Capilla del Cristo, Museo de San Juan, Galería Nacional, Museo de Historia, Museo, El Capitolio, Museo la Casa del Libro, Jardín Botánico, Casa de Ramón Power y Giralt, Museo Felisa Rincón de Gautier, Museo del Niño, and de las Américas. There is so much to do and see within the city, as each of these fascinations has its own significance and a unique story to tell about the glorious past of the city. There are also lots of fun-filled and action-packed activities to enjoy which include diving and snorkeling, paddle boarding, horse racing, kayaking, biking, windsurfing and much more. Every tourists like to know the climatic conditions of the destination they desire to visit. Some prefer friendly warm weather while some would prefer the chilly winter seasons. San Juan has a tropical climate with hot summers and pleasant winters with favorable temperatures. During the month of July – November, the city is believed to experience hurricanes and thunderstorms, making visitors travel less to San Juan during this period. Considering the weather conditions, the best time to visit this amazing city is during winter, when the weather is more friendly and pleasant. However, some tourists love to travel, without considering the climatic conditions of the destination they’re heading and regardless of the fact if cheap flights to San Juan Puerto Rico are available or not. The cheapest international flights to San Juan(PR) are on Mobissimo, the free travel search engine. In addition to cheap international flights to San Juan(PR), we help you find the best rates to both major and boutique hotels in San Juan(PR). Consider flexible travel dates when looking for the best fares to San Juan(PR), off-season travel or off-peak hours, or mid-week flights are all good options to lower your airline ticket fares. Consider also flying to other international airports in Puerto Rico : Aguadilla, Fajardo, Mayaguez, Ponce, Vieques. Mobissimo is also available on Facebook , Twitter, and other social networks, and our blog post fantastic flights deals to San Juan(PR) daily.